If you are looking for a quick day trip from New York City, NY, our list includes a selection of diverse things to see and do within 45 minutes to two hours by car or train. 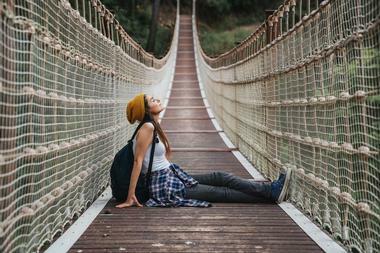 Whether you are interested in architecture, hiking, wine tasting, caves, mountains, lakes, amusement parks, or beaches in NY, NJ and beyond, there are many awesome ideas to choose from. Popular day trips from New York City for couples and families include the Hudson Valley, Long Island, the Catskills, Princeton and other great vacation spots. Planting Fields Arboretum State Historic Park is located in Oyster Bay, Long Island. 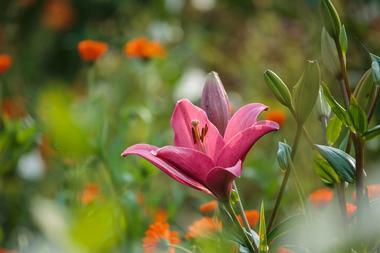 The arboretum consists of 409 acres of rolling lawns, woodland paths, formal gardens, plant collections and greenhouses. The original Gold Coast historic estate buildings include Coe Hall, the beautiful 65-room Tudor Revival style mansion, which is open to public. The house contains original Coe family antique furniture, paintings and spectacular stained glass windows. The grounds were landscaped by the famous Olmsted Brothers of Brookline, Massachusetts and are visited by thousands of visitors every year who come to enjoy the timeless beauty of specimen trees, fabulous greenhouses and diverse theme gardens. Planting Fields is a popular destination for wedding photos. 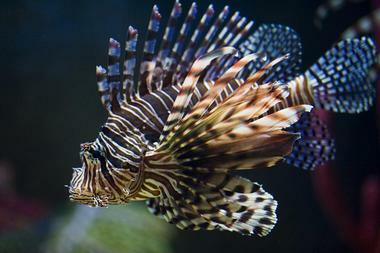 For a fun day out with the family, head to the Long Island Aquarium & Exhibition Center, which is based in Riverhead on Long Island just an hour and a half’s drive from New York. Themed around the Lost City of Atlantis, the Aquarium and Exhibition Center features an array of marine and river creatures, as well as educational exhibits and displays, focused on emphasizing the importance of marine life and environmental preservation. The Aquarium is home to one of the largest all-living coral reef displays in the Northern Hemisphere, a 120,000-gallon shark tank full of sharks and other fish, numerous touch tanks where kids can learn through touch and year-round sea lion shows. The Exhibition Center features over 100 exhibits and interactive experiences. The Glass House is a world-renowned architectural gem and National Trust Historic Site located in New Canaan, Connecticut. Built between 1949 and 1995 by American architect Philip Johnson, the Glass House is situated on a 49-acre pastoral landscape, which comprises fourteen structures, one of which is the award-winning glass structure. 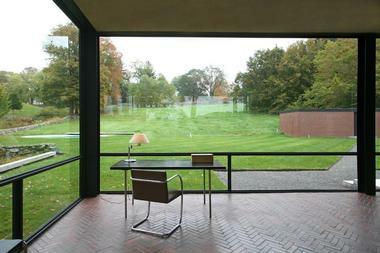 The Glass House (1949) also features a permanent collection of 20th-century painting and sculpture, along with a range of temporary and evolving exhibitions of varying nature. Guided tours of the site are available in May through November, ranging from self-guided, private and group tours to in-depth and extended tours which cover The Glass House, the Painting Gallery, Da Monsta Studio, the Pavilion in the Pond and the Monument to Lincoln Kirstein. Advance booking is advised. Old Westbury Gardens were built in 1906 by the English architect George A. Crawley for John S. Phipps, his wife Margarita and their children. John inherited his fortune from his father Henry, a steel magnate. The spectacular Charles II-style mansion is surrounded by 200 acres of magnificent very diverse gardens, woodlands, lakes and ponds. Westbury House rooms are full of original English antiques, decorative arts and art pieces, all exceptionally well preserved. 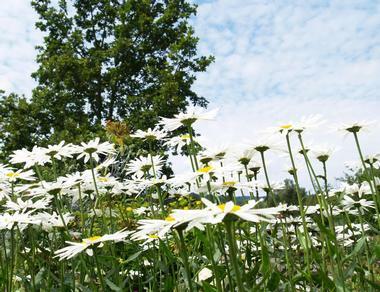 When John and Margarita died in the 1950s, one of their daughters converted the estate into a botanical garden, which is today open to the public. Guided tours of the house and the gardens are available every weekend. If you are looking for day trips from New York City for garden lovers, this is a great place to visit. 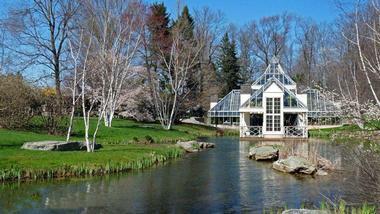 Old Westbury Gardens property is listed on the National Register of Historic Places. The sense of history while walking through the ancient Huguenot Street will leave you breathless. Historic Huguenot Street was formed in 1894 by descendants of Huguenot families who settled in the Hudson Valley in 1678. Huguenots were French-speaking European Calvinist Protestants who fled their European countries’ religious persecution and established a colony in New Paltz in 1678, just a short time after the pilgrims landed at Plymouth Rock. Historic Huguenot Street is a National Historic Landmark District and everyday objects, buildings and stories preserve the legacy of the original Huguenot settlers. It includes an informative Visitor Center, seven beautifully preserved 17th century stone houses, a reconstructed original 1717 Huguenot church, archaeological sites, and a burial ground where some of the very first settlers rest. Huguenot Street has an extensive historic archive with collections of early local history and family papers, as well as a research library. 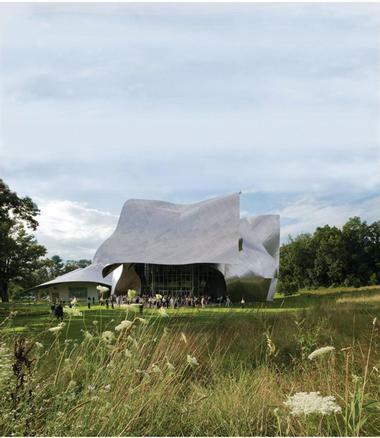 The Richard B. Fisher Center for the Performing Arts at Bard College is a110,000-square-foot performance hall in Annandale-on-Hudson in New York. The center offers facilities for orchestral music, chamber music, jazz, theater, opera, and dance programs and performances. The Center was designed by Frank Gehry and has two theaters, four studios for rehearsals and a number of other facilities. The Sosnoff Theater is a 900-seat theater that has an orchestra, two balconies, parterre and an orchestra pit. The smaller Theater Two has 200 seats and houses Bard College’s Dance and Theater Programs. Every summer, the Fisher Center hosts the Bard Music Festival, a festival of theater, opera and dance. 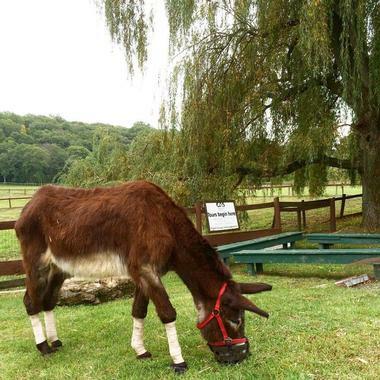 Catskill Animal Sanctuary is a 110-acre safe haven for farm animals and horses various people or the sanctuary staff rescued from neglect and cruelty. Besides providing shelter for animals, the Sanctuary also provides education to the public about the humane treatment of farm animals, and the impact agribusiness has on animals, humans, and ultimately on the planet. Since its opening in 2001, the Sanctuary has rescued more than 3,500 animals and found new home for many of them. During the tour of the Sanctuary, you will visit the animals, learn about their plight and rescue, get some vegan recipes or maybe decide to offer your help as a volunteer. There are always at least 300 animals on site. You can also stay for a few days in the Homestead, a meticulously renovated 1813 farmhouse where they offer lodging for the guests. Blue Hill Farm is a family-owned and operated institution that is home to a working farm, two restaurants by the same name and a farmers’ market. Owned by family proprietors Dan, David and Laureen Barber, Blue Hill produces fresh farm produce that is sold at their market and used as ingredients in both of the restaurants in New York City and at Stones Barn in Westchester County. Blue Hill Market serves as a farmers’ market where locally sourced, fresh farm produce is sold, including fruit, vegetables, honey, herbs, baked bread, pastries and other sweet treats, and handmade products and gifts for the home. Blue Hill also hosts events at its two restaurant locations, as well as at off-site venues where Blue Hill On the Road brings the farm to your table. Bear Mountain State Park is 5,067-acre park that includes Bear Mountain, West Mountain, Dunderberg Mountain , as well as Iona Island Bird Sanctuary in the Hudson River. Just an hour from the NYC, the park offers hiking, biking, boating, swimming, bird watching and fishing, and in winter cross-country skiing, ice skating and sledding. The park has many recreational facilities such as a play field, picnic areas, fishing access, a swimming pool, many hiking and biking trails, Trailside Museums and Zoo, The Perkins Memorial Tower at the top of Bear Mountain, and a very popular Merry-Go-Round with hand painted park scenes and 42 seats in the shape of animals such as black bear, deer, wild turkey and many others. Located on a peninsula sticking out into the Long Island Sound is Caumsett State Historic Park Preserve, a 1,750 acres estate with miles of trails and paths that wind through forests, meadows, rocky shore and salt marshes. The estate was established by Marshall Field III in 1921 as his home, country club and hunting preserve. 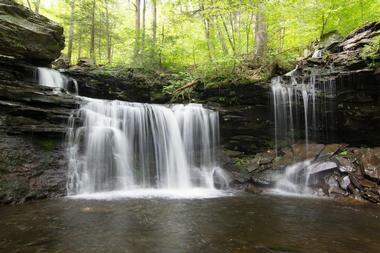 New York State bought it in 1961 and converted it into a Preserve. The preserve offers opportunities for any number of activities, from fishing and hiking to bird watching, nature study or just enjoying being outdoors. There is a pony barn that provides riding and polo lessons, boarding for horses and other equestrian services. There are more than 200 species of birds in the Park to delight bird watchers. Beautiful historic Manor house built in 1711 for Henry Lloyd and his bride houses the Lloyd Harbor Historical Society which provides interpretation of life during the colonial times. 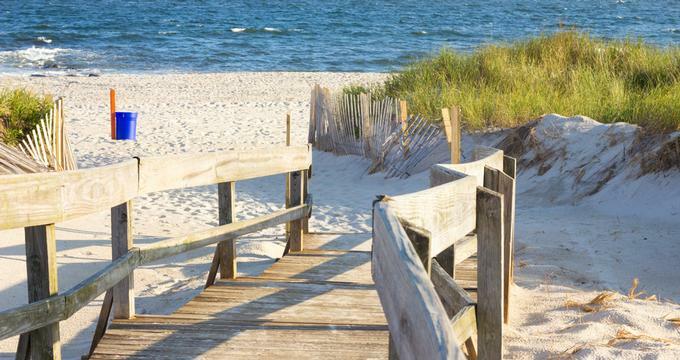 Fire Island is a beautiful stretch of coastline that offers a perfect escape from the city. Forming part of the Fire Island National Seashore, which encompasses over 25 miles of pristine ocean and shoreline with lush dunes and maritime forests, Fire Island is an ideal day trip, offering an array of outdoor activities and fun things to see and do. If you only have one day, spend it hiking or beachcombing along the shoreline, wildlife-viewing on the network of nature trails or exploring the grounds of William Floyd Estate. Head to Great South Bay for canoeing, boating, and fishing or enjoy a ranger-guided tour. If you have more time, spend a few days camping on Watch Hill behind the dunes or in the ‘backcountry’ of the Otis Pike Fire Island High Dune Wilderness. Getting to Fire Island takes some planning as you need to catch a ferry. Ferries regularly run to the island in the summer months but are limited in the off-season. A water taxi provides service between island communities and park locations. 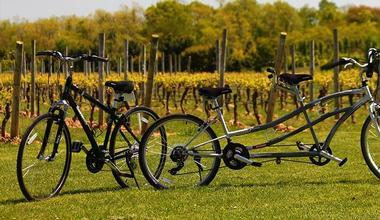 For a unique and thoroughly enjoyable experience, head out of the city and cruise through the North Fork Vineyards of the Long Island Wine Country with East End Bike Tours. Designed to indulge those wanting to sightsee, photograph, get a bit of exercise and of course, taste fabulous wines, these guided luxury tours follow a gentle 13.5-mile route through some of Long Island’s most beautiful wine country, taking in the scenic views of Peconic Bay, exploring historic landmarks and the region’s famous wineries. Every detail is attended to from the supply of state-of-the-art tandem and hybrid bikes in various sizes to your cultural interests and culinary needs. The 1.5-hour ride is interspersed with plenty of stops to refuel the body with delicious farm-to-table fare and fine wines. Tucked away in the Hudson Highlands, Stonecrop Gardens began as a private garden and has since grown into one of the most beautiful and ecologically significant gardens in the region. The garden was founded by Frank Cabot and his wife, Anne, who built their home and the garden on the hilltop, which was later opened to the public in 1992 with the aim of inspiring avid gardeners to explore and experiment with the vast diversity of the plant kingdom. Highlights of the garden include a stunning rock garden with raised alpine stone beds; lush woodlands and water gardens; and an enclosed English-style flower garden with systematic order beds that represent more than 50 plant families. The Gardens also feature a magnificent 2,000 square-foot conservatory which is home to a variety of fragile species, such as tropical, succulents and greenhouse alpines. Be prepared to spend a few hours here getting lost in the beauty of the gardens. Discover Outdoors is the American East Coast's premiere outdoor excursion company, originally established in 2004 to get Americans moving and back in touch with nature. The company offers a wide variety of backpacking, hiking, and camping excursions throughout the world for participants of all ages, along with specialty skill courses for outdoor recreational activities and safety skills. The company offers a unique selection of day trips from NYC, as well as to destinations which range from popular tourist areas in the American West such as Yellowstone National Park and Escalante Canyon to top international sites such as Mount Kilimanjaro and Patagonia. 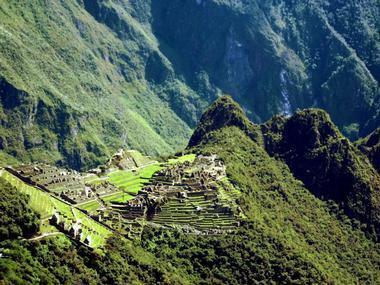 All trips are ranked on an intensity scale from 1-10, offered for groups of up to 14 participants. Tour registrations benefit underserved New York City teens through donations to the company's Discover Outdoors Foundation. Situated in historic Hamilton Square in the heart of New Jersey, Sayen House and Gardens is a beautifully maintained municipal park and botanical garden that creates a tranquil sanctuary for nature lovers, garden enthusiasts and history buffs alike. Established in 1912 by Frederick Sayen and his wife, the Sayen House and Gardens is comprised of the Sayen’s ‘bungalow-style’ home in the traditional Arts and Crafts style built with exquisite Victorian interiors, and the magnificent surrounding gardens. 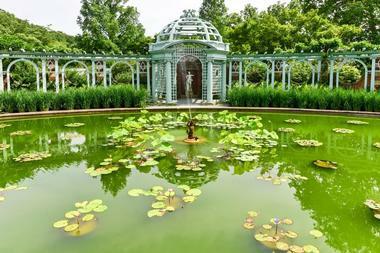 The gardens were opened to the public in 1991 and feature over 1,000 azaleas, 500 rhododendrons and more than 250,000 flowering bulbs, which are shown in an annual Spring display, and a variety of walking trails, bridges and romantic gazebos. The park and gardens are an attractive place for special celebrations such as wedding receptions, baby showers, and private parties. The Sayen House and Gardens hosts an annual Azalea Festival every Mother’s Day, during which the Sayen House is open to the public. The garden is open year-round from dawn to dusk without charge though park activity is at its peak in the spring. What started as a hobby of Anthony Sannino and his wife Lisa in 2007, turned into a passion and eventually into one of the most respected vineyards in the Long Island Wine Country. They also built a lovely Bed and Breakfast on the property, so you might think of it as a base to start exploring the rest of Long Island. Their tasting room is in a historic 1900’s barn, where you can try some excellent Merlot, Cabernet Sauvignon and Chardonnay. The winery also offers mini vintner courses, providing students with hands-on knowledge as well as equipment to make their own wine. Sannino Bella Vita is located in Peconic, N.Y. on the North Fork of Long Island. Dia: Beacon, one of the Dia Art Foundation's sites, is located in the city of Beacon, on the banks of the Hudson River, in the former Nabisco box printing factory. It houses Dia’s collection of art pieces from the 1960s to today. 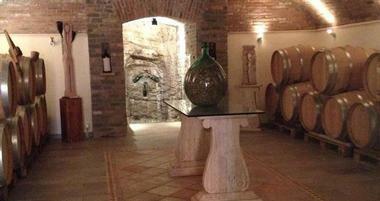 It also hosts a number of special exhibitions and many public programs and educational activities. 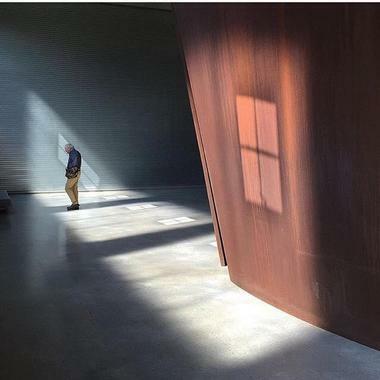 Since its opening in May 2003, Dia:Beacon, as well as the city of Beacon, became an attractive and popular destination for art lovers from New York City and beyond. The building that now houses the museum was finished in 1929 by Nabisco and has over 34,000-square feet of skylights, making it particularly suitable for an art gallery. 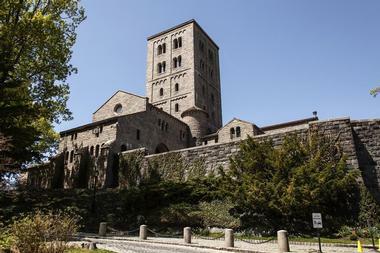 Located in Fort Tryon Park overlooking the Hudson River in northern Manhattan, The Cloisters museum and gardens is a special section of the world-renowned Metropolitan Museum of Art that is dedicated to preserving and presenting medieval European art and architecture. The magnificent building and its cloistered gardens were created from domestic and religious architectural elements that date back to between the 12th century and are treasures in themselves. The Cloisters' collection of art is made up of more than 2,000 works of art and objects, including tapestries, stained-glass windows, illuminated manuscripts, metalwork, and ivories. The Cloisters also offers a range of events such as collection highlight tours, gallery talks, and family programs year-round. 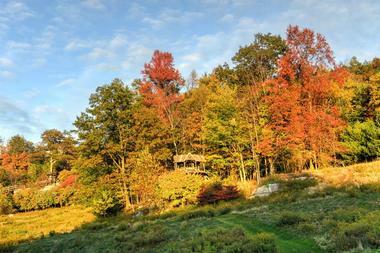 If you are looking for New York City day trips for couples, this is a great spot. Located in Short Hills in New Jersey, the Cora Hartshorn Arboretum and Bird Sanctuary (CHA) is a unique sanctuary for plants and animals where the public can go to enjoy nature. 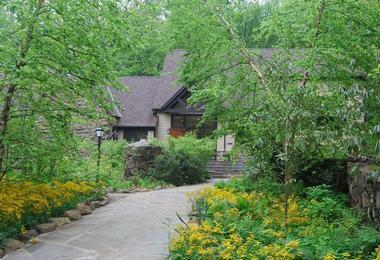 Established and nurtured by Cora Hartshorn in 1923, the CHA features over 16 acres of lush woodlands, kettle moraines, hilly slopes and a natural amphitheater created by glaciers, as well as more than three miles of woodland hiking and biking trails. Most importantly, the Arboretum is home to an incredible diversity of floral and faunal species, including a variety of native New Jersey wildflower species and over 40 species of trees and ferns. Visit the ‘Stone House’, which was built in 1933 and displays an array of excellent animals and bird bird, and a small collection of live animals. You may also like: 25 Best Weekend Getaways from New York City with many ideas for overnight stays.